With a brand new BMW 3 Series just around the corner, it’s not a bad time for Mercedes-Benz to unveil a series of belt-and-braces changes to the C-Class. 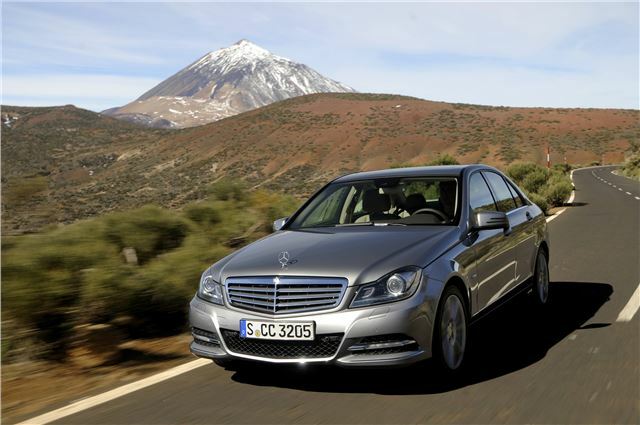 This facelift may not be obvious at first glance, but Mercedes-Benz had made more than 2000 changes and some of them are more substantial than a tweak here and a spec change there (though there are those too..). Many of these revisions will make a real difference to buyers. 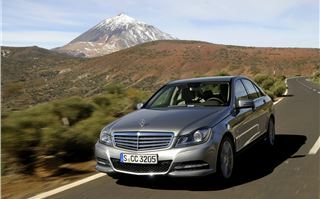 This is most noticeable in the C220 CDI BlueEFFICENCY. 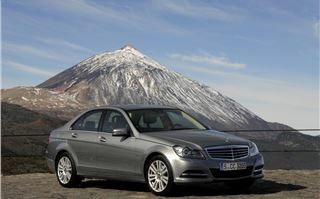 Every model in the updated C-Class range is more powerful and more economical than before, but the C220 CDI is noteworthy as, at a stroke, it’s become all the more appealing to company car buyers. Emissions are now down to a scarecely believable 117g/km, which, although is still more than BMW's 320d EfficientDynamics, is still one of the lowest emitting cars of its size. 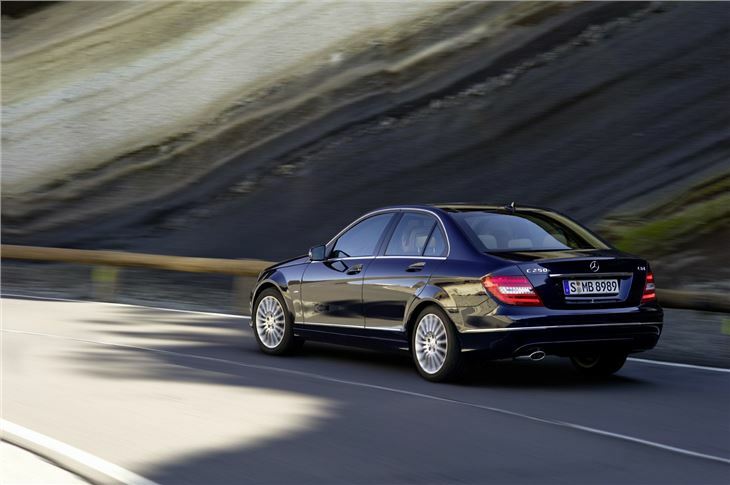 Company car buyers will find that the C220 CDI falls into the 18 per cent bracket, while private buyers will pay no road tax in the first year and just £20 after that. Part of that reduction is down to the introduction of a stop/start system, which cuts the engine automatically when the car is stationary. It’s one of the best systems of its type: most models with stop-start don’t cut the engine again if you creep forward in slow moving traffic. This one does. Low emissions go hand-in-glove with high official fuel consumption figures. 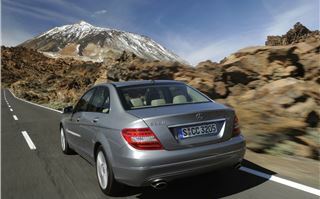 This C-Class is no different, returning a claimed 64.2mpg. The appeal to buyers – whether company or private – doesn’t stop there. 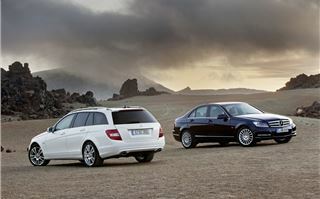 Mercedes-Benz has taken nearly all the safety systems used in the E-Class and transferred them seamlessly to its smallest saloon and estate. 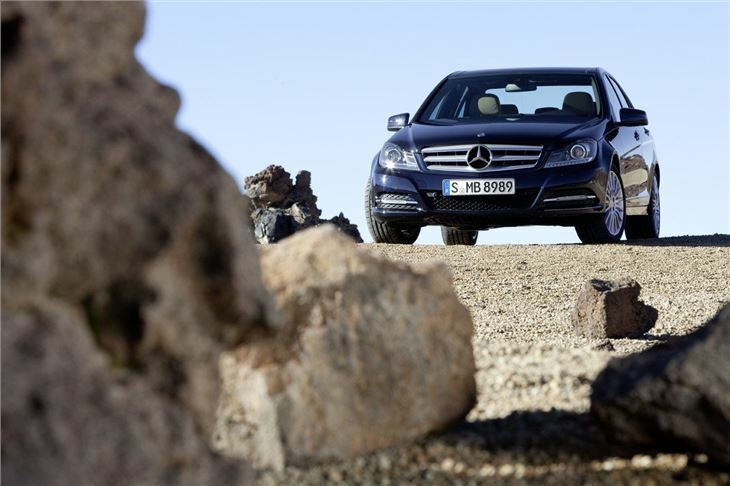 That means the C-Class is now available with Attention Assist (which alerts the driver if the car thinks a break is needed), Active Bonnet (pops-up to minimise injuries to pedestrians), Intelligent Light System, Adaptive High Beam Assist, Distronic Plus (radar cruise control), Active Lane Keeping Assist and , Active Blind Spot Assist and Speed Limit Assist. 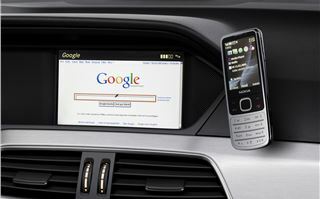 Internet connectivity is another addition and is likely to be popular with drivers who spend most of the day on the road and need an on-the-move wireless hotspot. 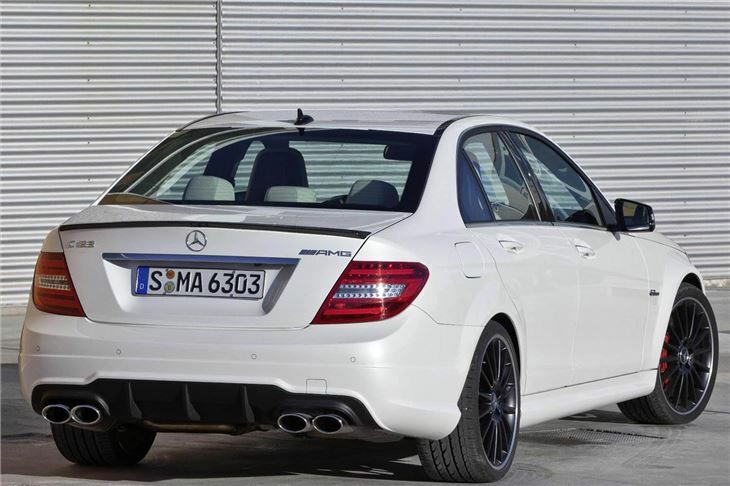 In fact, those considering an E-Class saloon, may want to think about saving themselves a few quid and opting for a C-Class instead. Aside from space, there’s less to differentiate them than ever before. The interior has been E-Classed too. 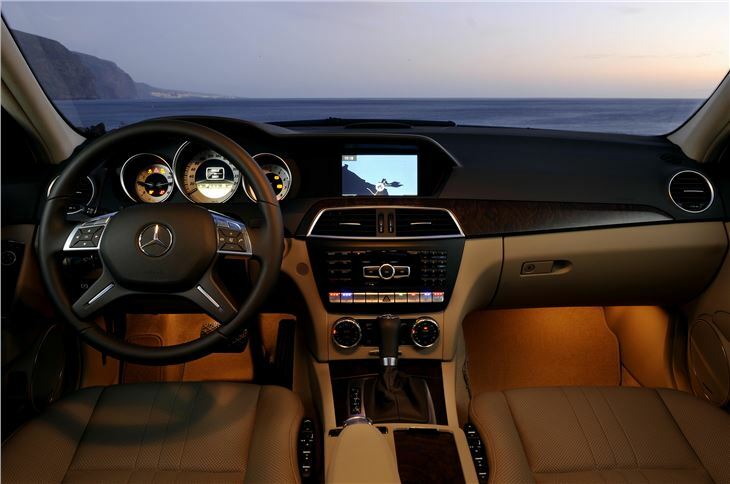 The black-and-white information display in the instrument cluster has been replaced with a full-colour screen that does all the things the E-Class does – like tell you what speed limit you’re in. The plastics are much better, there’s a more integrated look and the buttons and switches have, you’ve guessed it, had an E-Class makeover too. Equipment levels are SE, Elegance and Sport. 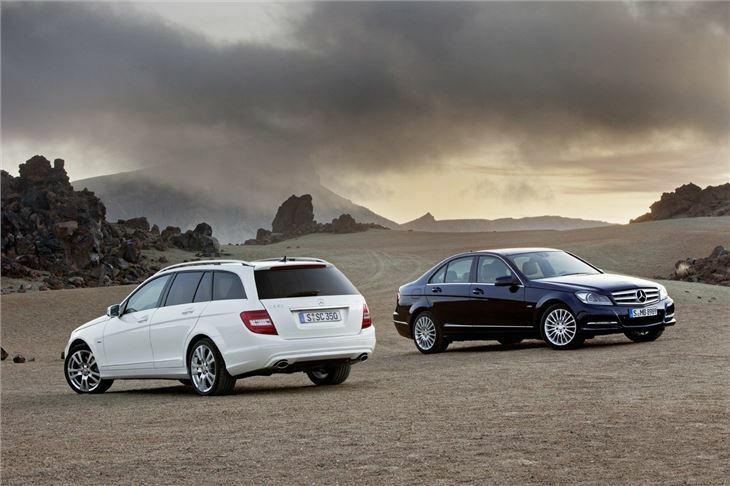 Even SE is well equipped, again designed to appeal to the company car chooser, with 16-inch seven-spoke alloy wheels, Agility Control suspension, parking guidance, rain-sensing wipers, climate control, leather steering wheel, cruise control and an electric tailgate for the estate. 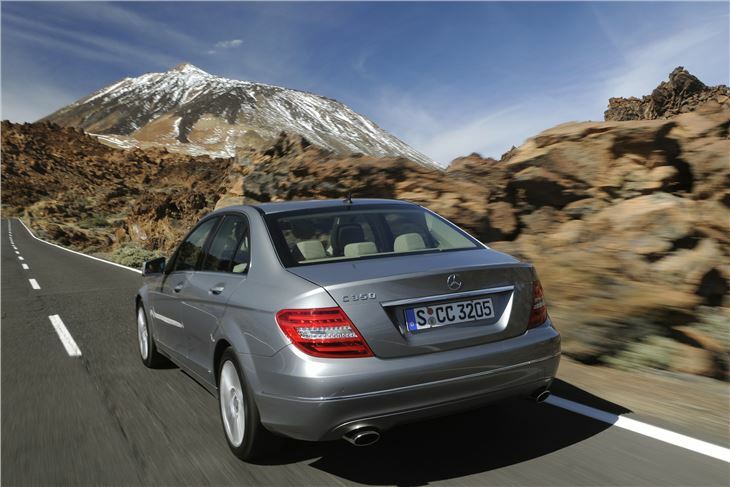 Despite being the cleanest model in the C Class range, the C220 CDI doesn’t hang about. It gets from 0-60mph in 8.4 seconds and on to a top speed of 144mph. It’s a bit of a revelation when it comes to overtaking, too. With 400Nm of torque on offer it makes light work of slow-moving vehicles up ahead. 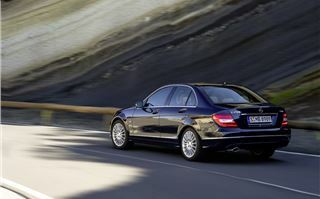 To make fast progress on A and B road, a bit of downchanging is required to maintain momentum, but the C220 CDI cruises well on the motorway and you’d be hard-pushed to tell that this is an ‘eco’ model. 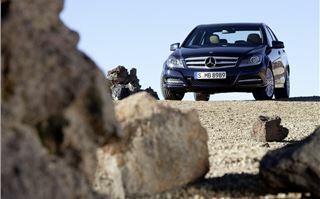 All models have the option of a six-speed manual (with start-stop) a seven-speed 7G-Tronic Plus automatic. The manual gearbox is excellent, giving crisp and clean changes, the seven-speed auto isn’t bad, either, and generally manages to be in the right gear at the right time. A sport button sharpens up the responses for when quicker changes are required. 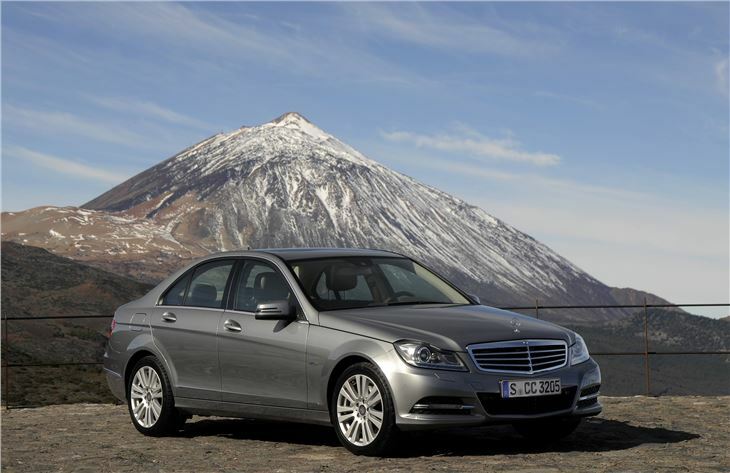 Those looking for low emissions need to choose the manual, as the C220 CDI auto is 125g/km. This facelift means that the C-Class is no longer playing catch-up to the BMW 3 Series and actually now shows it a clean pair of heals in many respects. 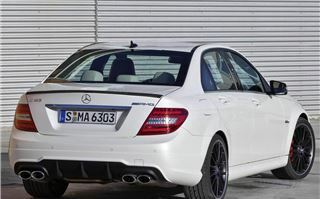 BMW will need to have something very special up its sleeve to match this latest C-Class.